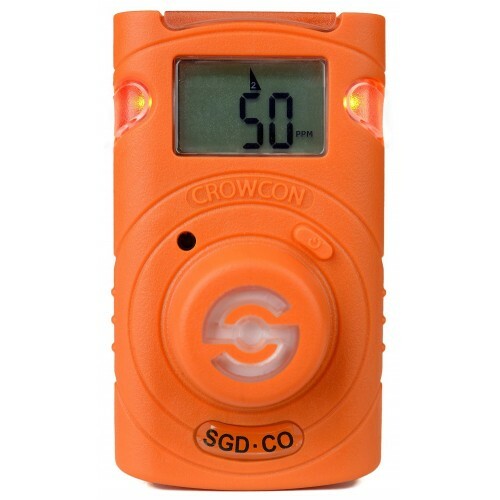 Clip Single Gas Detector (SGD) is designed for use in hazardous areas and offers reliable and durable fixed life monitoring in a compact, lightweight and maintenance-free package. Clip SGD is a single use monito which has a 2-year life and is available for hydrogen sulphide (H2S), carbon monoxide (CO) or oxygen (O2). Clip SGD is designed to withstand the harshest industrial working conditions and delivers industry leading alarm time, changeable alarm levels and event logging as well as user-friendly bump test and calibration solutions.